Hogan was on the field for 45 of a possible 76 snaps on offense in Monday night's 25-6 win over the Bills, en route to catching both of his targets for 49 yards. Analysis: For the third straight game, Hogan was out-snapped by both Julian Edelman (73) and Josh Gordon (64). Meanwhile, tight end Rob Gronkowski (back) returned to the mix, leaving Hogan with a low-volume role in Week 8. 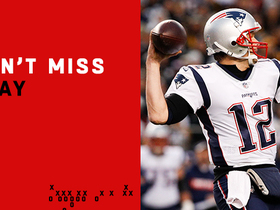 He'll have his moments going forward, but with so many mouths to feed in the Patriots' passing offense. a steady weekly target share may not always be there for Hogan. Hogan logged 42 of a possible 64 snaps on offense in Sunday's 38-31 win over the Bears en route to hauling in six of his seven targets for 63 yards. Analysis: For the second straight game, Hogan was out-snapped by both Julian Edelman (63) and Josh Gordon (61), but he ended up with the most catches among that trio Sunday. Once tight end Rob Gronkowski (back) returns to the mix, there will be another mouth to feed in the Patriots' passing offense. With running back James White also heavily involved on that front, steady weekly volume may not always be available for Hogan. Hogan caught all four of his targets for 78 yards in Sunday's 43-40 win over the Chiefs. Analysis: Hogan, who came into the game nursing a thigh issue, was on the field for 47 (of a possible) 78 plays on offense, and was notably out-snapped by both Julian Edelman (71) and Josh Gordon (63). 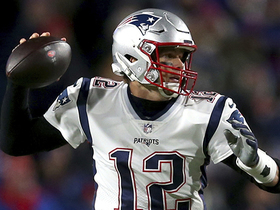 With so many mouths to feed in the offense, steady weekly volume may not always be there for Hogan, but he remains a trusted weapon for QB Tom Brady and his field-stretching ability still yields occasional big plays, such as the key 42-yard grab he made in the fourth quarter Sunday. Hogan (thigh) is listed as active for Sunday night's game against the Chiefs. Analysis: Hogan is out there if you need him Sunday, but the presence of slot maven Julian Edelman and the Patriots' recent addition of Josh Gordon (hamstring) make it difficult to count on steady weekly volume for Hogan in the New England offense. Hogan (thigh) is listed as questionable for Sunday night's game against the Chiefs after returning to a limited practice Friday. Hogan (thigh) returned to the practice field Friday, Zack Cox of NESN.com reports. Analysis: Moreover, per Jeff Howe of The Athletic, Hogan, who sat out practice Thursday to rest and undergo treatment on his thigh, "is expected to be cleared in time" for Sunday night's 8:20 PM ET contest against the Chiefs. In any case, it looks like Hogan is trending toward an official 'questionable' designation on Friday's final Week 6 injury report. Hogan (thigh) did not practice Thursday, Kevin Duffy of MassLive.com reports. Analysis: Hogan was limited Wednesday, so the downgrade in participation is notable when coupled with the fact that he was the only player listed by New England on Thursday as a non-participant. We'll check back on his status Friday, but if Hogan is limited or out Sunday against the Chiefs, added snaps would open up for Josh Gordon and Phillip Dorsett. 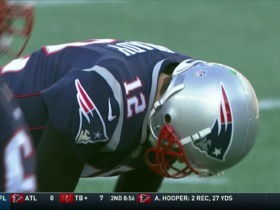 Hogan was limited at practice Wednesday due to a thigh injury, Mike Reiss of ESPN.com reports. Analysis: Hogan logged 63 of the Patriots' 69 offensive snaps in the 38-24 win over the Colts in Week 5, so his limitations were likely maintenance-related. Of more concern with regard to Hogan's fantasy prospects Week 6 against the Chiefs is his target share. The Patriots kept Julian Edelman highly involved in his return from a four-game suspension last week, while recent trade acquisition Josh Gordon is continuing to gain more experience with the team's offense. Hogan played 63 of the Patriots' 69 offensive snaps in Thursday's 38-24 win over the Colts and finished with three receptions for 34 yards on four targets. Hogan caught his only target for 25 yards in Sunday's 38-7 win over the Dolphins. Hogan was on the field for all 48 snaps on offense in Sunday's 26-10 loss to the Lions, en route to hauling in three of his four targets for 31 yards. Hogan logged action on 55 out of the Patriots' 61 snaps on offense in Sunday's 31-20 loss to the Jaguars. Analysis: In the process, Hogan hauled in three of his five targets for 42 yards and a pair of TDs. It was the second consecutive five-target game for Hogan, but this time around he parlayed his touches into relevant fantasy production. In future outings, we'd expect Hogan to see more looks from QB Tom Brady, an expectation based on his heavy weekly snap count. Hogan caught one of five targets for 11 yards during Sunday's 27-20 win over the Texans. 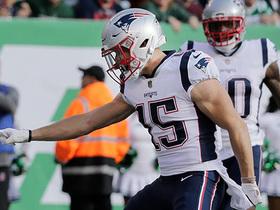 Analysis: Coming into the season without Julian Edelman, Hogan appeared to be the Patriots' most established option out wide. New England instead focused on throwing to backs and tight ends and unheralded Phillip Dorsett ended up with seven receptions and a score. The Patriots are as good as any team in the league at adapting week to week, so Hogan might be the go-to receiver in the weeks ahead. If not, it'll be interesting to see how his role evolves once Edelman returns after four games. 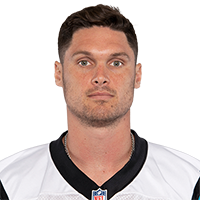 Hogan was on the field for 15 snaps in Friday's preseason loss to the Panthers, en route to catching his only target for 10 yards. Hogan caught five of seven targets for 25 yards and a touchdown in Thursday's preseason win over Philadelphia. Hogan dropped both of his targets in Thursday's preseason game against Washington, NESN's Doug Kyed reports. Analysis: Hogan unexpectedly came off the bench as New England's No. 3 receiver behind starters Julian Edelman and Phillip Dorsett. The team likely just wanted to see Dorsett get more work in the first-team offense, albeit with Brian Hoyer at quarterback instead of Tom Brady. Dorsett also was held catchless on two targets, while Edelman didn't even draw a look. Hogan still figures to be Brady's top option at wide receiver during Edelman's four-game suspension to start the season. Hogan appears poised to see an expanded workload this coming season, Jeff Howe of the Atlantic reports. 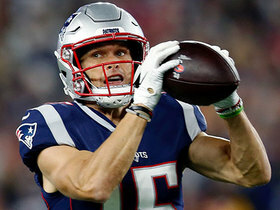 Hogan could take on a larger role in a New England receiving corps that lost Danny Amendola and Brandin Cooks in the offseason, Mike Reiss of ESPN.com reports. Hogan hauled in six of eight targets for 128 yards and a touchdown during the Patriots' 41-33 loss to the Eagles in Super Bowl LII on Sunday. Hogan (shoulder) logged 67 of a possible 81 snaps on offense in Saturday's 35-14 AFC divisional-round win over the Titans. Hogan (shoulder) does not carry an injury designation for Saturday's playoff game against the Titans. Hogan (shoulder) was limited in practice Tuesday. Analysis: Hogan made just one appearance over the Patriots' final eight games due to a dislocated right shoulder, and it included a one-yard catch on his five targets in a Week 14 loss at Miami. A limitation remains on his practice reps, indicating his health is compromised more than two months after the injury. Until Hogan takes the field again for an actual game, Rob Gronkowski, Brandin Cooks, Danny Amendola and Dion Lewis will be better bets to hook up with Tom Brady in the passing attack. Hogan (shoulder) is inactive for Sunday's game against the Jets. 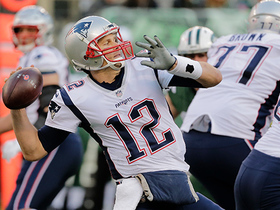 Analysis: The Patriots have the AFC's No. 1 seed in their sights in Week 17, but they'll sit Hogan on Sunday, with having him healthy/ready for the playoffs in mind. Phillip Dorsett and Kenny Britt are candidates for added snaps this week, while outside option Brandin Cooks and slot man Danny Amendola are in line to head the team's wide receiver corps against the Jets. Hogan (shoulder), who is listed as questionable for Sunday's game against the Jets, isn't expected to play, a source informed Ian Rapoport of NFL Network. Hogan (shoulder) is listed as questionable for Sunday's game against the Jets after practicing in a limited fashion all week. Analysis: We suspect that Hogan would definitely play this weekend if it were the playoffs, but he's been managing a shoulder injury and was inactive in Week 16. Fortunately for those considering the wideout in Week 17 lineups, the Patriots kick off at 1:00 p.m. ET on Sunday. If he is out or limited at all this weekend, added snaps would be available for Phillip Dorsett and Kenny Britt. Hogan (shoulder) was limited at practice Wednesday. Analysis: We suspect that Hogan would be able to play Sunday against the Jets if it were the postseason. 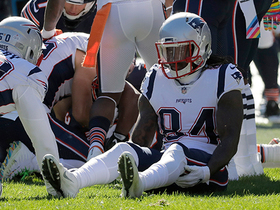 As it is, he could potentially suit up for the contest, but we wouldn't be surprised if the wideout were held out again this weekend, with an eye toward having him fully healthy following the Patriots' upcoming first-round playoff bye. Hogan (shoulder) is inactive for Sunday's game against the Bills. Analysis: With Hogan set to miss his second straight game, Brandin Cooks and Danny Amendola profile as the Patriots' top wide receivers Sunday, with Phillip Dorsett and Kenny Britt also on hand. We'll have to see if Hogan returns for some tune-up action in Week 17, or is held out again next weekend with an eye toward having him fully healthy for the postseason. Hogan (shoulder) is not expected to play Sunday against Buffalo, Adam Schefter of ESPN reports. Analysis: Hogan was able to practice in a limited fashion all week, but it sounds like he'll need at least another week before he returns. He's played in just one game -- catching just one pass in the process -- since Oct. 29. Hogan (shoulder) is listed as questionable for Sunday's game against the Bills, Mike Reiss of ESPN.com reports. Analysis: Hogan was able to practice in a limited fashion all week, but we won't take his Week 16 status for granted after he ended up being a surprise scratch last weekend. If he does play Sunday, Hogan would look to get back into a groove down the stretch after having played in just one game -- and catching just one pass in the process -- since Oct. 29. Prior to sustaining his shoulder injury, Hogan and Brandin Cooks consistently led Patriots wide receivers in terms of playing time. Analysis: Hogan was able to practice in a limited fashion all of last week, but he ended up missing this past Sunday's game against the Steelers. That he was limited again Wednesday isn't a bad sign, but his status for this weekend's game against the Bills has yet to be solidified. Hogan (shoulder) is inactive for Sunday's game against the Steelers. Analysis: The return of star tight end Rob Gronkowski from a one-game suspension will help the Patriots offset Hogan's absence in Week 15. Meanwhile, Brandin Cooks and Danny Amendola profile as the team's top wide receivers Sunday, with Phillip Dorsett and newcomer Kenny Britt also on hand. Hogan (shoulder) isn't expected to play Sunday against Pittsburgh, Adam Schefter of ESPN reports. Hogan (shoulder) is listed as questionable for Sunday's game against the Steelers after practicing in a limited fashion all week. Hogan (shoulder) practiced in a limited fashion Wednesday. Hogan (shoulder) was on the field for 55 of 61 snaps on offense in Monday night's 27-20 loss to the Dolphins, en route to hauling in one of his five targets for one yard. Hogan (shoulder) is listed as active for Monday night's game against the Dolphins. 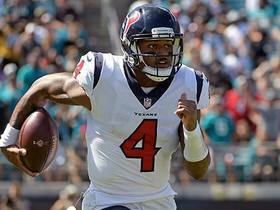 While not quite expected to handle his usual complement of snaps, Hogan does figure to play "a lot" Monday night in Miami, Tom Pelissero of NFL.com reports. Hogan (shoulder) is still expected to play in Monday's game against the Dolphins, Adam Schefter of ESPN reports. Hogan (shoulder), who is listed as questionable for Monday's game against the Dolphins, traveled with the Patriots to Miami on Sunday and is expected to play in the contest, Jeff Howe of the Boston Herald reports. Hogan (shoulder) is on track to make his return Monday against the Dolphins, Doug Kyed of NESN.com reports. Analysis: Hogan logged a limited practice session Saturday, and looks ready to return from a four-game absence assuming he avoids any setbacks. The pass catcher was on pace for a career year before going down in Week 8. A return would be timely, as the Patriots will be without their top red-zone threat, Rob Gronkowski (suspension), for the contest. Final confirmation on Hogan's status is unlikely to be determined until closer to game time Monday night. Hogan (shoulder) was a limited participant at Friday's practice. Analysis: While it counts as a positive step forward in Hogan's recovery that he was able to practice in a limited fashion on back-to-back days, the wideout may need to put in a full session Friday to ensure his availability for Monday's game against the Dolphins. Hogan has missed the Patriots' last four contests with a dislocated right shoulder and could be eased back into the team's receiving ranks if cleared to play Monday, making him a dicey fantasy play in Week 14. Hogan (shoulder) was limited at practice Thursday. 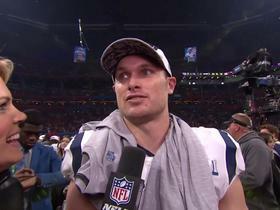 Hogan (shoulder) was spotted at Wednesday's practice, Mike Reiss of ESPN.com reports. Analysis: It's suspected that he'll be listed as a limited participant once the Patriots file their first Week 14 practice report, but Hogan's presence on the field Wednesday in any capacity bodes well for his chances of returning to action as soon as Monday against the Dolphins. The wideout, who last suited up on Oct. 29 against the Chargers, logged 33 catches on 54 targets for 438 yards and five scores over eight outings prior to hurting his shoulder. Hogan (shoulder) has been ruled out for Sunday's game against the Bills, the Boston Herald reports. Analysis: As a result, Hogan will log his fourth straight absence, which sets the stage for added targets to fall to slot man Danny Amendola (knee), with speedster Phillip Dorsett a candidate to once again see an expanded snap count while working on the outside. Hogan (shoulder) didn't take part in Friday's practice, Jeff Howe of the Boston Herald reports. Analysis: Hogan hasn't practiced at all this week, which all but rules him out for Sunday's matchup with the Bills. His official Week 13 status will be revealed when the Patriots' final injury report of the week is released. In Hogan's stead, expect Danny Amendola and Phillip Dorsett to take on heightened roles in the Patriots' passing attack as the team's Nos. 2 and 3 wide receivers, respectively. Hogan (shoulder) remained sidelined at Thursday's practice, Jeff Howe of the Boston Herald reports. Analysis: Thursday's session was more of a walk-through than anything, so Hogan's inability to take part in that session suggests he's not in line to play Sunday against the Bills. In such a scenario, added targets would likely fall to Danny Amendola (knee), with Phillip Dorsett a candidate to keep seeing expanded snaps on the outside. Hogan (shoulder) wasn't present for the start of Wednesday's practice, Mike Reiss of ESPN.com reports. Analysis: Having missed three straight games already, Hogan's absence Wednesday clouds his status for Sunday's game against the Bills. If he's unable to return this weekend, added targets figure to be on tap for fellow wideout Danny Amendola, with Phillip Dorsett once again a candidate to see an expanded snap count on the outside. Hogan (shoulder) has been ruled out for Sunday's game against the Dolphins. Analysis: With Hogan still out, added targets figure to fall to fellow wideout Danny Amendola (knee), with Phillip Dorsett a candidate to see an expanded snap count in the Patriots' Week 12 offense. Hogan (shoulder) did not practice Thursday, the Boston Herald reports. Analysis: The wideout is trending toward another absence this week, a notion that could well be solidified upon the release of Friday's injury report. If Hogan misses Sunday's game against the Dolphins, fellow wideout Danny Amendola would be in line for added Week 12 targets. Hogan (shoulder) didn't practice Wednesday, the Mark Daniels of The Providence Journal reports. Analysis: Hogan has missed two straight games, so his absence from practice Wednesday isn't a surprising development. At this stage, Hogan looks questionable at best for Sunday's game against the Dolphins. If Hogan remains sidelined for a third straight contest, added Week 12 targets would likely fall to fellow wideout Danny Amendola. Hogan (shoulder) has been ruled out for Sunday's game against the Raiders. Analysis: With another absence on tap, Phillip Dorsett will continue to see added work in the Patriots' passing attack, working opposite fellow wideout Brandin Cooks, while Danny Amendola mans the slot. Though held to just two catches for 16 yards in last week's win over the Broncos, Dorsett's Week 11 upside is aided by what looks like a better matchup this weekend. The same sort of narrative applies to Amendola in PPR formats. Hogan (shoulder) did not practice Thursday, Mike Reiss of ESPN.com reports. Analysis: Given that Hogan is among the Patriots players who remain behind in Massachusetts while the team practices in Colorado Springs, we'd expect the wideout to be ruled out for Sunday's game against the Raiders in Mexico City. Confirmation of such an outcome, either way, will arrive Friday, with Phillip Dorsett in line to continue to see added snaps in Week 11 should Hogan indeed be deemed unavailable. Hogan (shoulder), who was listed as a nonparticipant in Wednesday's practice, is continuing to rehab his injury in Massachusetts, Mike Reiss of ESPN.com reports. Hogan (shoulder) wasn't present for Wednesday's practice Jeff Howe of the Boston Herald reports. Hogan (shoulder) has been ruled out for Sunday night's game against the Broncos. Analysis: With Hogan sidelined this week, look for Phillip Dorsett to assume a more prominent role in the Patriots' Week 10 passing attack. After seeing limited action in recent weeks, Dorsett figures to see the bulk of his work in Sunday's game on the outside, opposite fellow wideout Brandin Cooks, while Danny Amendola patrols the slot. Hogan (shoulder) didn't practice Thursday. Analysis: With Hogan looking unlikely to play Sunday against the Broncos, Phillip Dorsett should assume a more prominent role in the Patriots' passing attack in Week 10. He'll likely see most of his snaps on outside opposite Brandin Cooks, with Danny Amendola on track to man the slot. Hogan (right shoulder) wasn't spotted at Wednesday's practice, Jeff Howe of the Boston Herald reports. 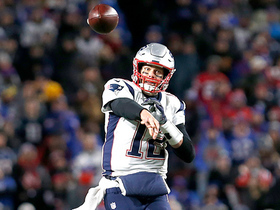 Analysis: While the Patriots haven't ruled Hogan out for Sunday's game against the Broncos, things appear to be trending in that direction, according to Mike Reiss of ESPN.com. If Hogan is sidelined this weekend, Phillip Dorsett could assume a more prominent role in the Patriots' passing attack while slotting in opposite Brandin Cooks, with Danny Amendola manning the slot. Hogan (shoulder) didn't partake in Tuesday's practice, Karen Guregian of the Boston Herald reports.